Exploring Strategy has sold a staggering 900,000 copies worldwide, thanks to its outstanding and engaging view of strategy in the world we live in. It equips readers with a detailed understanding of the issues and techniques of strategy, using illustration from real companies to make sense of the subject. 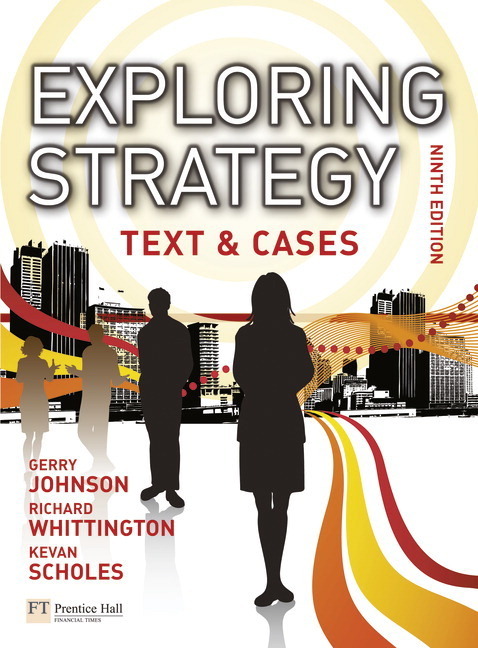 With unique and powerful learning tools such as inspiring case studies, a new strategy simulation and video assignments, Exploring Strategy provides a proven high quality resource that you shouldnt be without. The provision of key debates, commentaries and strategy lenses allows you to dig deeper into the tensions and complexity of strategy, and encourages critical thinking. The Strategy Experience simulation, which puts the student in the driving seat and allows them to experience the real world of strategic decision-making. A personalised study plan that helps students focus their attention and efforts on the areas where theyre needed the most. Flashcards, a multilingual glossary, and weblinks for revision and research. An instructors manual (also available in print) providing a comprehensive set of teaching support, including guidance notes for case studies, assignments and lecture plans. A test-bank of assessment questions. Classic cases from previous editions of the book.